Bonnar Sand and Gravel Co Ltd is an independent, family owned business. The sister companies including Bonnar Plant and Haulage Co Limited and Bonnar Ready Mix Concrete Limited operate from the Clachan Quarry. A reputation for reliability and high quality has built up over the decades and the Bonnar name is now well recognised in the construction industry. The company has served the construction industries, local authorities, utility companies and the general public for many decades and the majority of our trade customers have been with us for at least 25 years. Danny Bonnar, the company founder and MD started in construction over forty years ago. From small beginnings of shovelling sand by hand with a second hand lorry, he has built the business to one employing a dozen staff and with an annual turnover of more than £1.5 million. 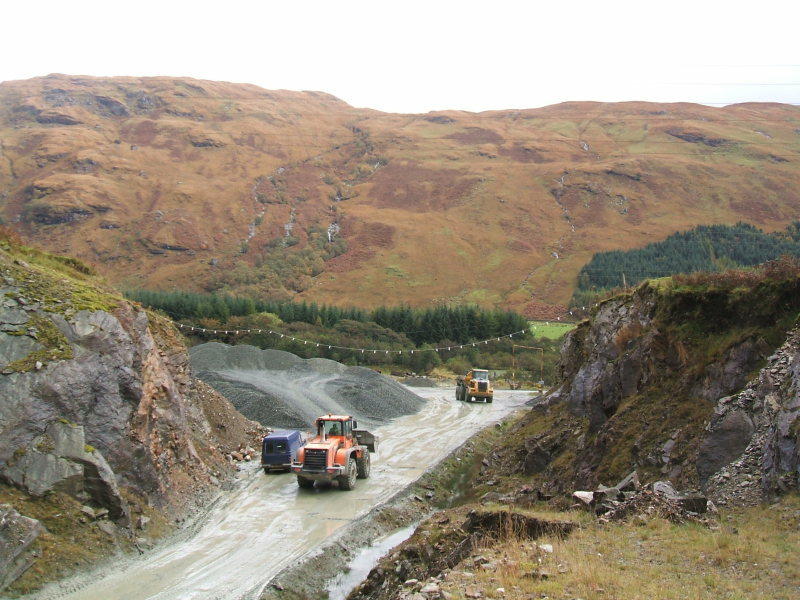 Starting in 1962, incorporation followed in 1975 while at the Holy Loch near Dunoon and then major expansion took us to our current 25 hectare site at the Clachan Quarry, Cairndow. We have a continuous and active policy of minimising impact to the environment. The quarry is located in an area known for its stunning scenery. To minimise visual impact the works are located a fair distance from the main trunk route. The entrance is deliberately small and the processing and storage areas are hidden from view by the lanscape and by natural & planted trees. Our recycling focus has enabled us to create valuable and stringent BS standard sand products from what was once considered quarry waste. Our regeneration focus has enabled us to take old working sites devoid of plants and animals and create lochens abundant with fish and surrounded by vegitation which attract birds, deer and other wildlife.